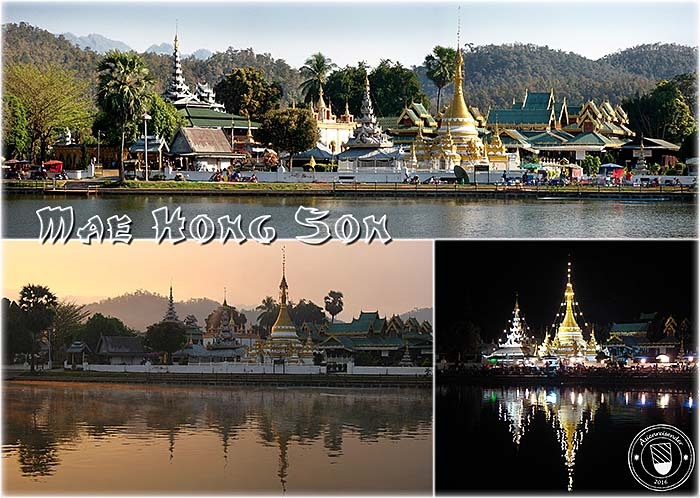 Mae Hong Son is a town and a province in the very northwest of Thailand, bordering Burma. The place has about 6,400 inhabitants (242,000 in the whole province) and is very remote due to it's mountainous situation. Access was most of it's history very difficult, for it's a long way from Chiang Mai via Pai to here (about 250km). As late as in the 1990s, the road from Pai on was paved and made access also in the rainy season possible. Being on an altitude of 300m above sea level, Mae Hong Son has a cooler climate than most other places in Thailand. 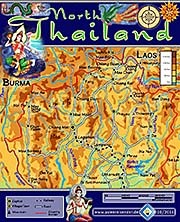 The surroundings are mountainous forests who stretch over the border to Burma. 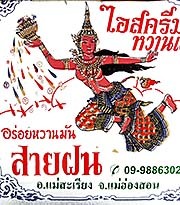 The rainy season, coming with the annual southwest monsoon, lasts here only from June to September, a shorter time than in the southern plains along the Gulf of Thailand. 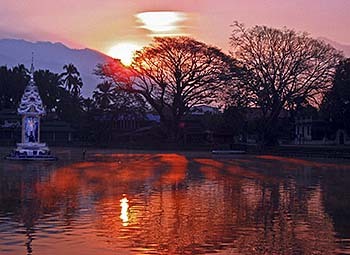 In former times, the Mae Hong Son area was part of the kingdom of Lanna. Due to the remote position and the absence of a large road connection between Lanna respectively Thailand and Burma, there were no big military campaigns led here. 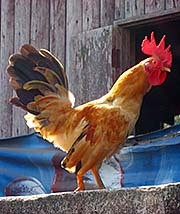 Later, from 1767 on, it was for a time part of the Shan state of Mawkmai. Mae Hong Son town is not older than less than 200 years, when it was founded as an elephant camp by order of the ruler of Chiang Mai after 1825. The wild elephants, caught in the forests, became a first training here before they came to the capital of Lanna. There are sometimes struggles along the border between ethnic groups of Burma who fight the Burmese government. These fights are sometimes shifting over the border into Thai territory. For times the region was rather Burmese than Thai. This is expressed in a number of temple buildings with Burmese roots. The now existing border is the result of an agreement between Britain and Siam in the years 1892/93. Actually, Siam claimed more territory west, including parts of the land west of the Salween River, but the British kept it in British Burma. 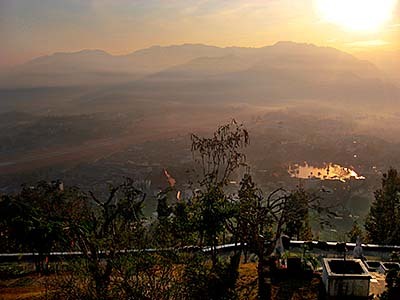 The province of Mae Hong Son is one of the least developed of Thailand. 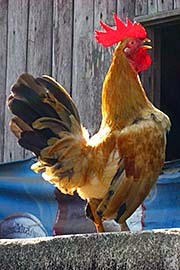 A great majority of the inhabitants live from agriculture. Formal education is little, illiteracy higher than elsewhere. The closeness to Burma attracts drug smuggling and trafficking. The area is part of the Greater Golden Triangle. The population is very young and rapidly growing. 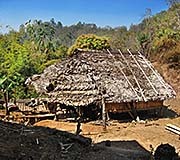 As in most of north Thailand, the mountains are inhabited mostly by tribal people of different kinds. That's many Karen, Shan, Hmong, Lahu, Lisu, Yao and Lawa. There are five national parks in Mae Hong Son Province, and one natural park who gained protection status (at least on the paper). There is not much touristic infrastructure here. A few guesthouses and hotels. 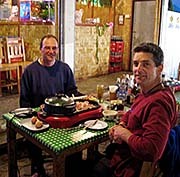 Good restaurants one finds anywhere almost at any place in Thailand. 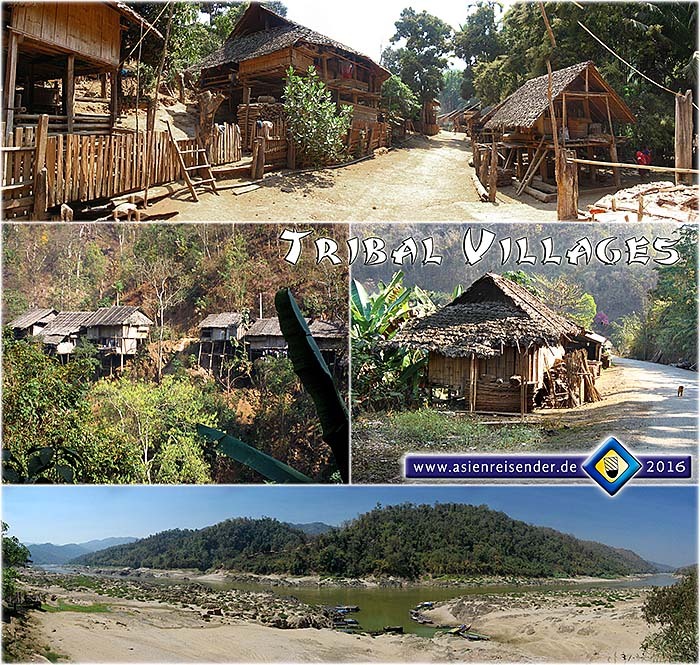 The here coming tourists are mainly interested in tours into the nature and visiting hill tribe villages. By the way: the Hollywood production 'Air America' (1990, a Vietnam War commedy with Mel Gibson) was made here. For the staff of the film-making was an extra hotel built which maintained Western standards for the crew. It's the Mae Hong Son Mountain Inn, which still exists.